Every day in the remote city of Attock, Pakistan, in the homes of 35,000 Afghan refugees, the women and girls get up, get breakfast, and get to work – on the giant carpet looms that dominate the households. They will spend about 14 hours a day at the loom, paid not by the hours they spend hunched over weaving, but by the square meter of the carpets they produce. After years of this, the women’s backs are bent and their hands are hardened and blackened by the constant weaving – but it’s work that women can do in the home, and it supports the family. 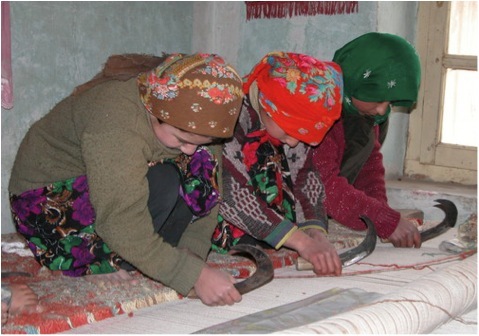 The back-breaking work of carpet making. In Pakistan girls can go to school for free, and young ones often do, but once a girl is old enough weave, the family can’t afford for her not to be at the loom. The “opportunity cost” of education is too high; so the girls stay illiterate because they are poor, and will remain poor because they are illiterate– and the cycle of poverty makes one more turn. Saba Gul, a Pakistani-born, MIT-educated Computer Science grad student is all about disrupting that chain of events with her BLISS http://bagsforbliss.org– Business and Life Skills School, an initiative to reduce exploitative child labor and increase literacy with an innovative approach to getting girls back to school and keeping them there. 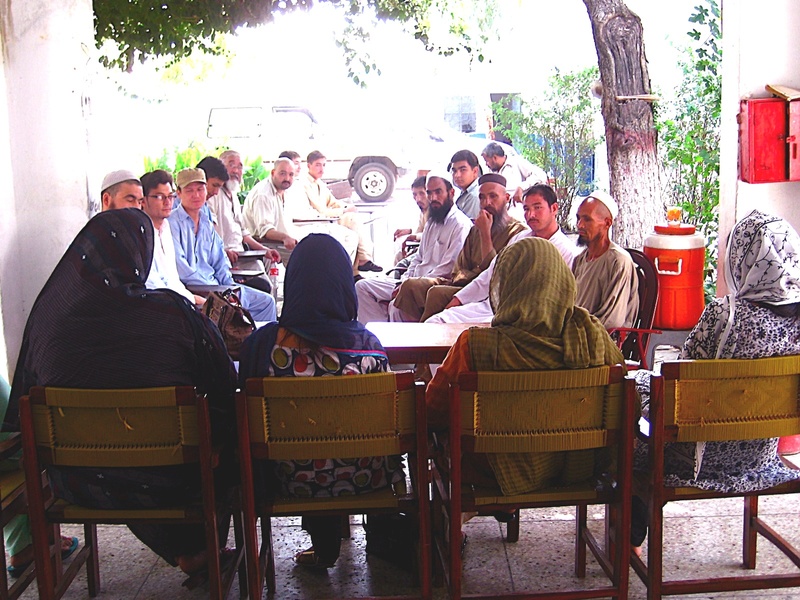 Meeting with the men & elders of the Attock community to explain the BLISS project. BLISS is a self-sustaining program that offers families a monetary incentive to send girls to school several hours a day, funded by an after-school vocational program in unique indigenous crafts that more than offsets the $12/month it costs the family for the girls to be in school. By allowing children to earn an income while getting an education, BLISS intends to circumvent the heartbreaking choice of girls having to pick work over school to make ends meet. Saba started BLISS in Attock in 2009, with a pilot program of 38 Afghan refugee girls who learn English, Math & Urdu, and do embroidery and needlework after-school that can be used in producing beautiful bags that BLISS will design, market and distribute globally in fair trade marketplaces. 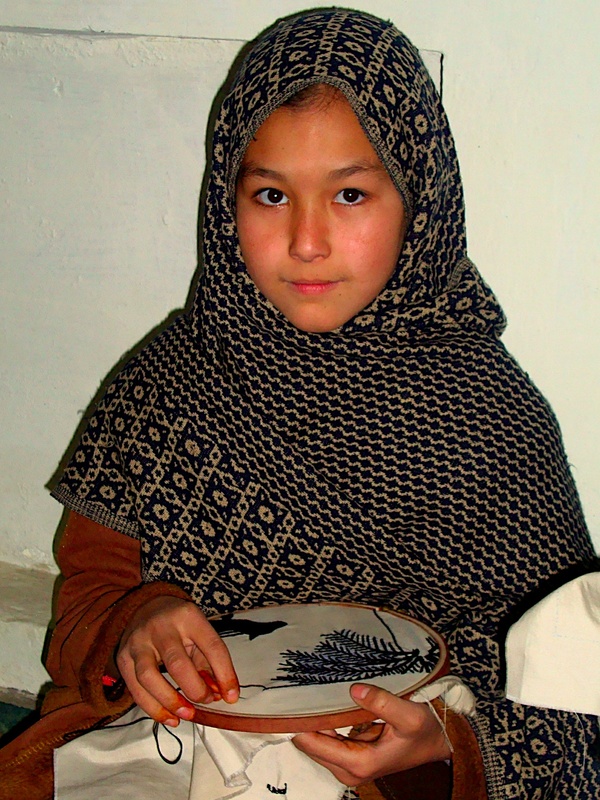 15-year old Wajeeha, an enthusiastic BLISS student. 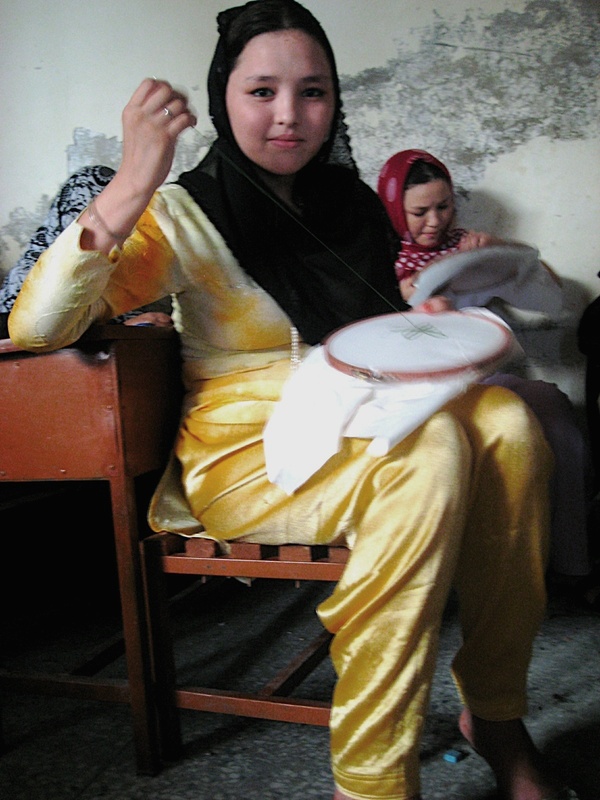 An insular, isolated refugee community, the Turkmen Afghani refugees have been in Pakistan since the Russian invasion of 1979, yet most still do not speak Urdu, the language of Pakistan. Saba fervently believes if she can use BLISS to convince the community of the value of educating girls, she can use the model to impact the rest of the Pakistan, where 3 million children laborers are working every day – and across the developing world, with its 166 million child workers. Saba, Saleema (the community liason's daughter) and Ough, his mother. 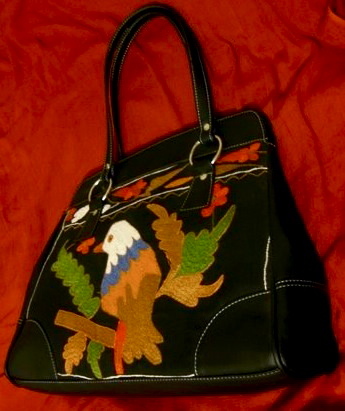 The beautiful BLISS bag - I want one!